The 10 Best Taco Places in South Carolina! If you think a taco is just a pile of lettuce, beef and cheese encapsulated in a tortilla, you’ve been missing out on some major culinary diversity. Boasting about the same versatility factor as the sandwich, taco creations have surged in popularity in South Carolina. And what’s not to love? They’re portable, easy to make, easy to eat, span the flavor and food group gamut, and taste oh so delicious! Here’s where you’ll find the tastiest tacos in South Carolina! Minero is the Spanish word for miner, which is fitting considering tacos are thought to have originated in the 1800s around Mexican mines. With an award-winning chef on staff, you can expect nothing but tasty tacos inspired from the Mexico motherland, herself. Right off, you can’t help but notice the comical Taco Boy mascot. But it’s the tacos, not the man in the Taco Boy head, that really set this place part. They source local and regional ingredients when possible, and create some of the most savory taco, nacho and dip combinations this side of the U.S.-Mexico border. Built on a pile of fresh ideas, Willy Taco is the brainchild of five friends who were sick and tired of stale ideas and boring flavors. Their atmosphere is just about as varied and zesty as their menu offerings, giving you plenty to look at and lots to choose from. Tacos have officially gone gourmet here at Super Taco! From marinated steak and ground beef, made-from-scratch tortillas, and an entire bar of salsas (yes, you read that right, salsa gets its own variety bar), no fast-food drive-through will ever satisfy your taco cravings again. If tacos had a Hall of Fame, it would be here at Zia Taqueria. Fresh, rich, and full of flavor, it seems every item on the menu is competing to the be the best, and they’re all winning. In case you didn’t know, riendo means laughing. But tacos are serious business, especially when they’re this good. You’ll be too busy devouring your meal to laugh once your food arrives. No joke. Though devoted to the many wonderful flavors of Mexican cuisine, tacos remain one of their star performers. Situated in a more upscale ambiance, you’ll have your choice of ID-required Mexican beverages to complement your meal. One of Anderson’s best hidden gems, Taqueria Picante serves up authentic tacos and other Mexican dishes you’d think Abuela would have made herself. It’s hard to say which stands out more: Their tasty taco combinations, their prices, or their impeccable hospitality. Don’t let the bare bones exterior fool you—this taco haven is bursting with variety! 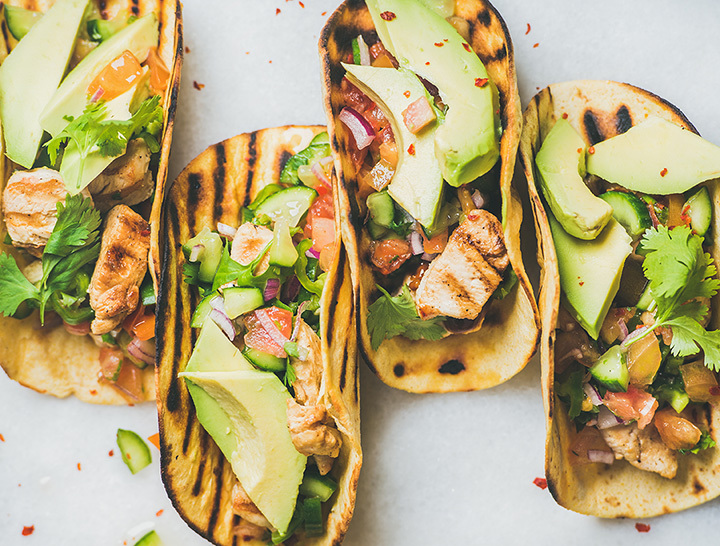 They can create a taco of epic proportions with nearly any type of food imaginable: From nearly any kind of land meat, soft or crunchy shells, specialty cheeses and sauces, and the typical toppings and fixings, you could easily eat a different taco every day for a month. Touted the best Mexican restaurant in the Lowcountry, your taco experience will live up to that claim in every way. These folks have recreated the finest flavors of Mexico and made them taste-able right here in the U.S.